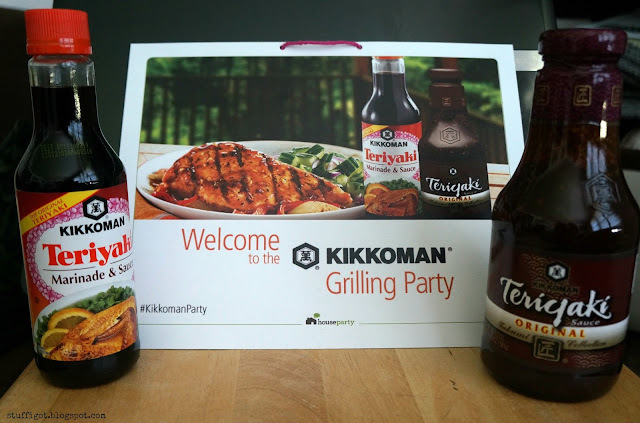 DISCLOSURE: I received free products from House Party in order to host a Kikkoman Grilling Party. All opinions are my own. 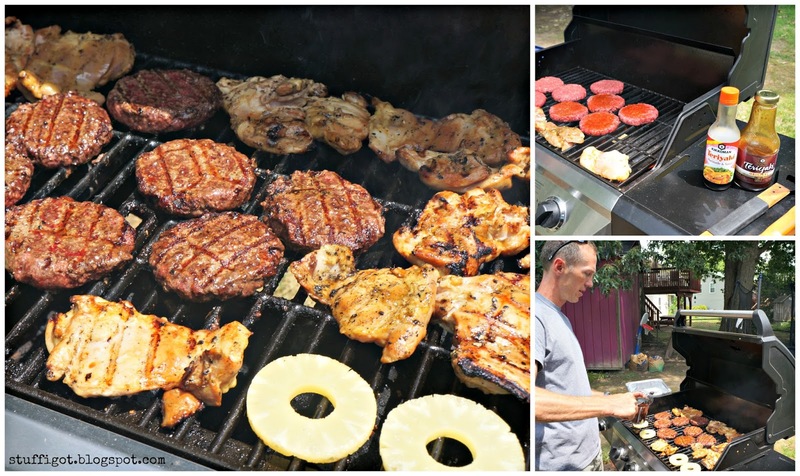 When the weather is nice, we tend to grill a lot. 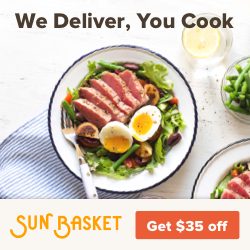 We probably use the grill at least a few times a week. 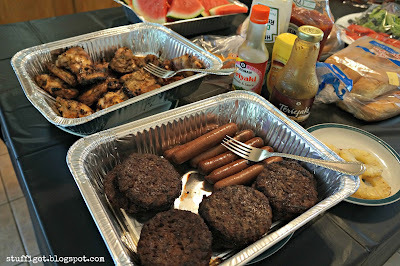 We'll cook burgers, hot dogs, brats, steak, salmon and chicken. Sometimes we'll just season with salt and pepper, other times we'll use a marinade or grill seasonings. 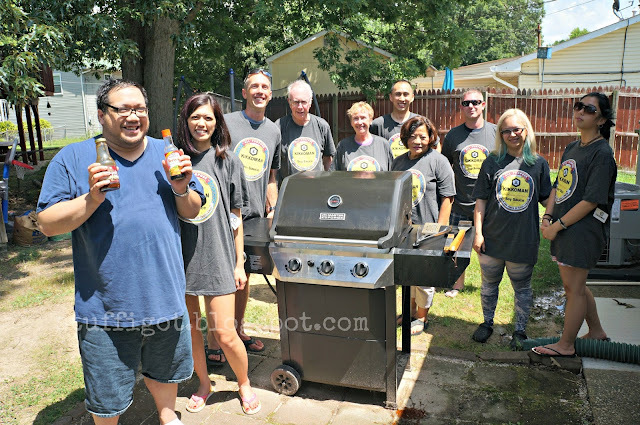 A week ago, I had the chance to host a Kikkoman Grilling House Party and tried out two of Kikkoman's marinades: Teriyaki Marinade & Sauce and Teriyaki Takumi Original Sauce. We've used Kikkoman Soy Sauce and Ponzu Sauce in the past and have found them to be flavorful. But, this was our first time trying any of their Teriyaki Sauces. 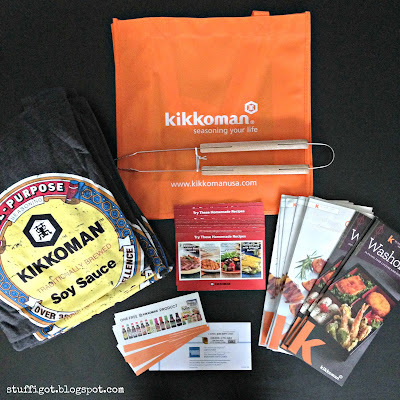 For the party, we made two dishes using the Kikkoman Sauces. With the Teriyaki Marinade & Sauce, we made Teriyaki Thai Chicken Thighs. 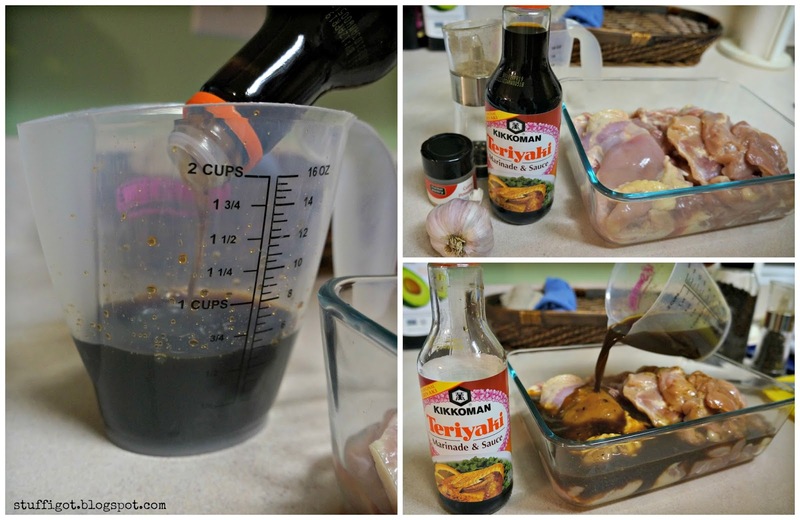 We combined the Teriyaki Marinade & Sauce with crushed garlic, ground pepper and curry powder and marinated chicken thighs overnight. 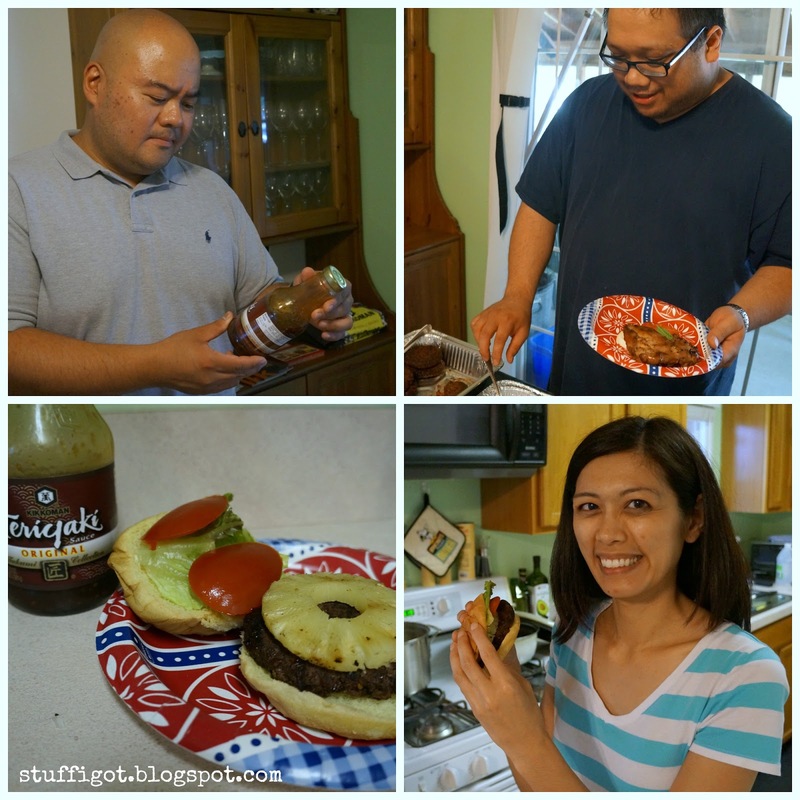 With the Teriyaki Takumi Original Sauce, we made Teriyaki Pineapple Burgers. We modified this recipe for Teriyaki Pineapple Turkey Burgers and used pre-made beef burger patties. 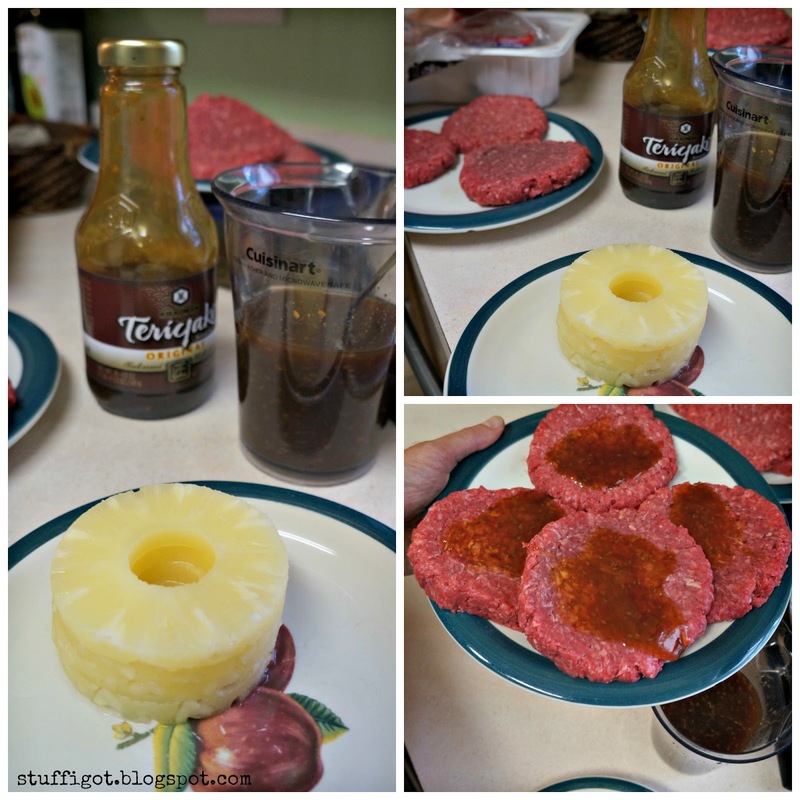 After combining the Teriyaki Takumi Original Sauce with the juice from an 8-oz can of sliced pineapples, we poured it over the patties and let it marinate a bit before grilling them. 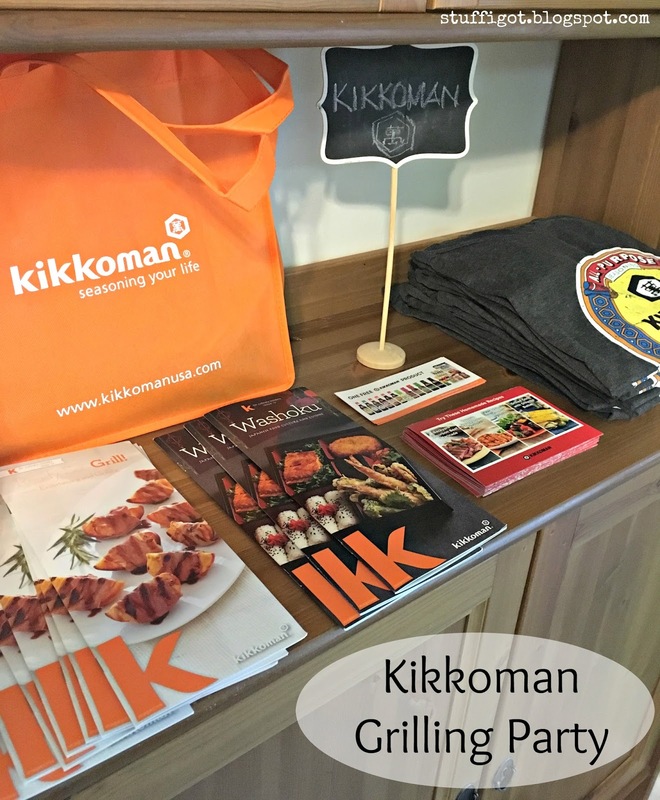 For the party, I set up a little display near the food with the Kikkoman T-shirts, recipe booklets, free product coupons and the Kikkoman K-Magazines. My husband was the grill master during the party. Everyone loved the chicken! They thought it was really good and that the Teriyaki Marinade added a lot of flavor to the meat. The Teriyaki Pineapple burgers weren't bad either. 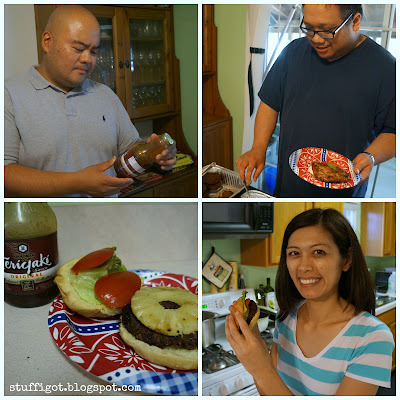 I think they would have been better if we made our own patties and incorporated the Teriyaki Takumi Sauce into it. Everyone appreciated the free product coupon and couldn't wait to pick up their own bottle of Kikkoman Sauce. The Kikkoman T-shirts were a big hit, too. 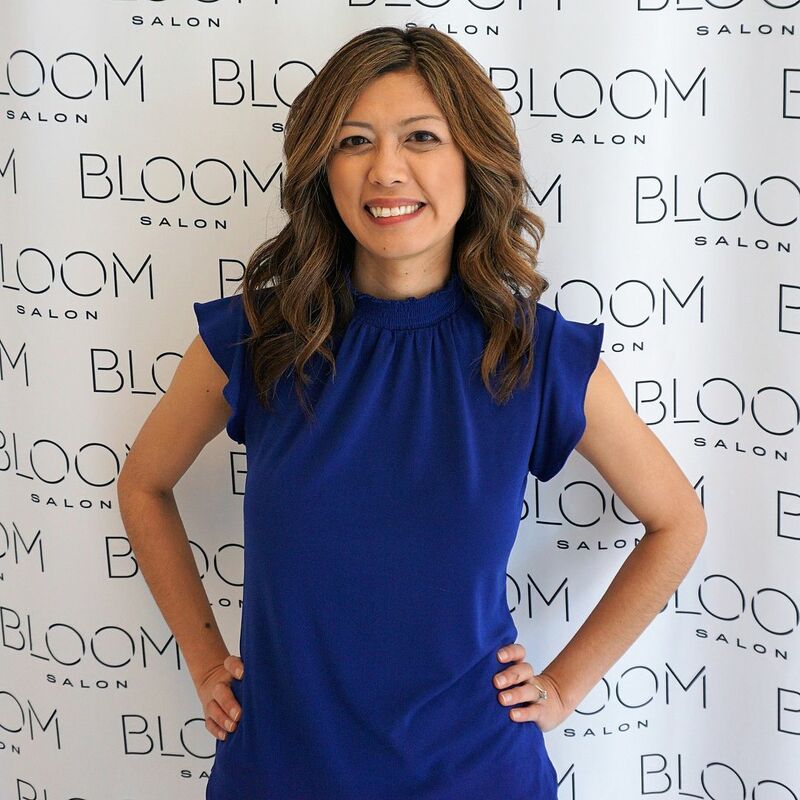 Thanks to House Party and Kikkoman for a fun party!